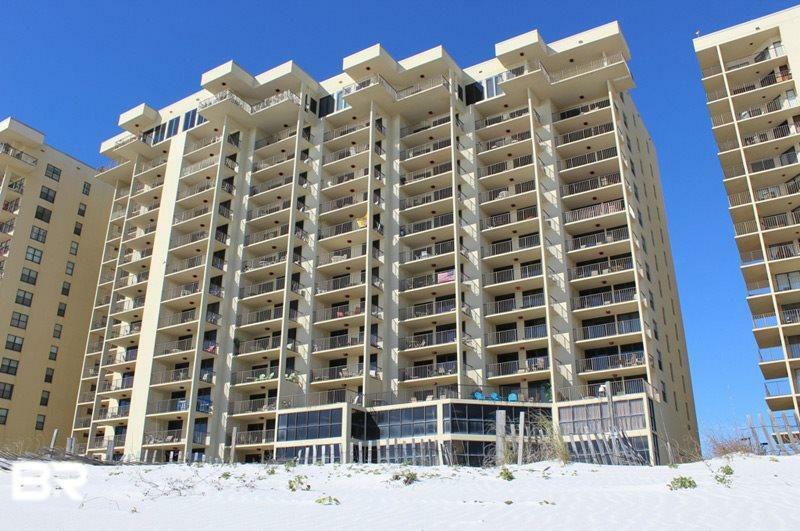 This stylish beach condo boasts porcelain tile, granite countertops, crown molding and three flat-screen televisions. New tiled shower in master with granite in both vanities. The balcony brings a beach front view like no other. It is perfect for that sunrise enjoying a cup of coffee or a good book with a Caribbean-style seating and a stained concrete table. Sit back and relax while being captivated with lightly colored walls, bright furnishings and a sliding glass door from wall to wall view of the beach and waves crashing in. Great rental income producer making over $30k last year. The ambiance this condo brings will have you feeling welcomed and relaxed leaving behind the stresses. Phoenix I has a solar-heated outdoor pool, which allows for comfortable year-round swimming, hot tubs, sauna, as well as shared amenities with the neighboring Phoenix buildings including kiddie pools, exercise rooms, racquetball courts, BBQ pits, beach volleyball, lighted tennis courts, game rooms, gazebos and much more. Directions: From Hwy 59s Turn Left And Travel East 5 Miles On Perdido Beach Blvd. Phoenix I Condo Is On The South Side Of Beach Rd. The Physical Address Is 24132 Perdido Beach Blvd.